Keep in mind there were only two extended episodes filmed for this season. Luther is at his best just as he has been in seasons one through three. Fans of Downton Abbey will delight in that Gwen from season one of Downton is a featured character in this season of Luther. I must have for your Luther collection but was a little pricey considering it is only two episodes. Excellent but too short. We need more shows per season and more seasons for Luther. 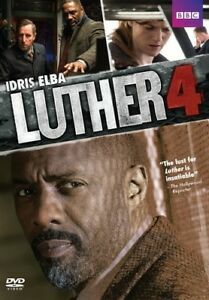 Terrific casting and Elba is really sensational as Luther. Non stop action! This is a thinking man's show. The characters are always engaging and meaningful. The entire series is worth the watch. Season 4 is only 2 (two) episodes. Luther lovers, beware! You are going to be frustrated and disappointed. It ends abruptly and that's that. Not as good as previous seasons.